The Ford Focus RS is one of the hot hatches that has helped the segment become even more popular, with the Blue Oval machine offering a splendid mix of hooning and practicality assets. Of course, as with any production car, the showroom model must suit the taste of many, but there will always be aficionados seeking the custom experience. And while the aftermarket industry has delivered plenty of modded incarnations of the spicy compact, the one that brought us here today is special. Before we move any further, we need to reinforce the idea that we're dealing with a rendering. Nevertheless, there are gearheads who commission such builds (more on this below). 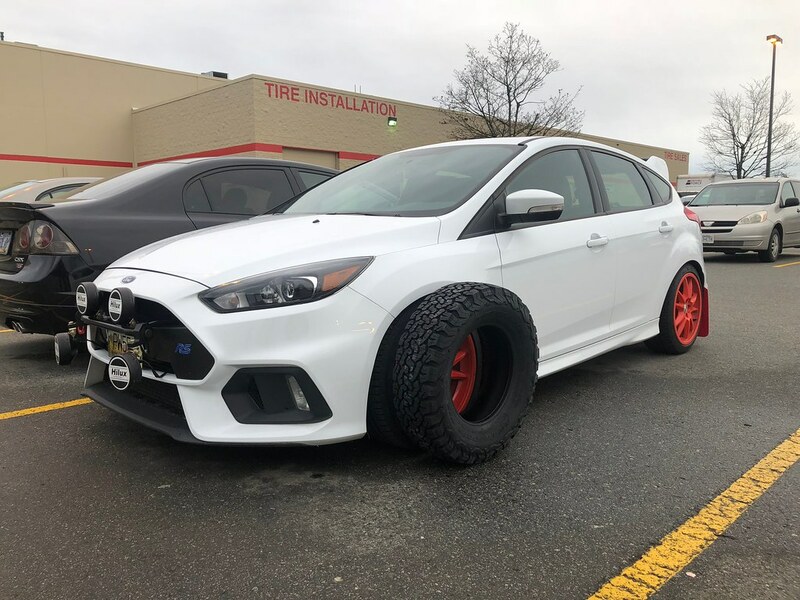 This Focus RS has been given the jacked-up treatment. 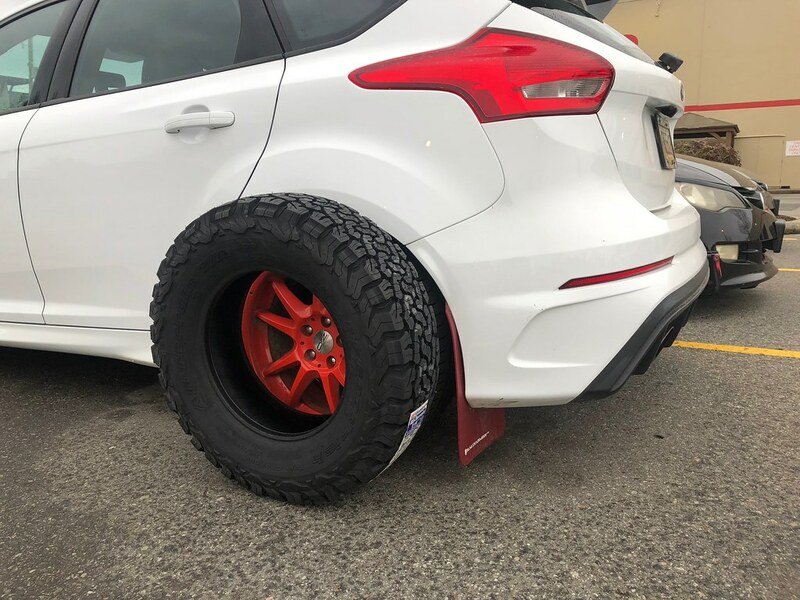 The machine now rides on super-sized tires, which are wrapped around beadlock wheels that could keep them in place during the most difficult offroading stints. Rain Prisk is the digital art label behind this image - we've featured the work of this label on many occasions, as for instance, it has a thing for shooting brakes. In our book, this contraption qualifies as a jportscar (that would be a jacked-up sportscar) and we're talking about a trend that's gaining traction. In fact, we've shown you a rendering of a lifted go-fast machine earlier today, with that pixel play involving a Mercedes-AMG GT. And we're not just talking about renders. As we mentioned above, there are certain car lovers who commission jportscar builds and here's an example. We're expecting a few niche-loving carmakers to integrate this into the business model. And, as we've done in the past, we'll list the upcoming Porsche Taycan Cross Turismo, which has been confirmed for production, as an example. And we have to admit we applaud SUV alternatives that allow the driver to be more involved in the experience. BethVader, carver and FLBlue1265 like this. Paolo, Vinnie13, pasque and 1 others like this. will you be hacking into those fenders? i can't wait! Similar...but this is real...built in Western Australia by my friends at Maximum Motorsport. Subaru XV with JDM STI engine, 6 speed, custom MCA coilover suspension, light weighted with modified wheel arches and front and rear entry/exit plus lots of other nice custom bits. 3rd outright on debut at the 2018 Sunraysia Safari offroad rally competing against trophy trucks and buggies. Last edited by Nauli; 01-13-2019 at 09:44 PM. That's a bit extreme but I like the idea. I'm thinking the RS could use the Safari 911 treatment. The AWD system is aimed at performance, but we've seen that it does great at finding traction during multiple spinning wheels. 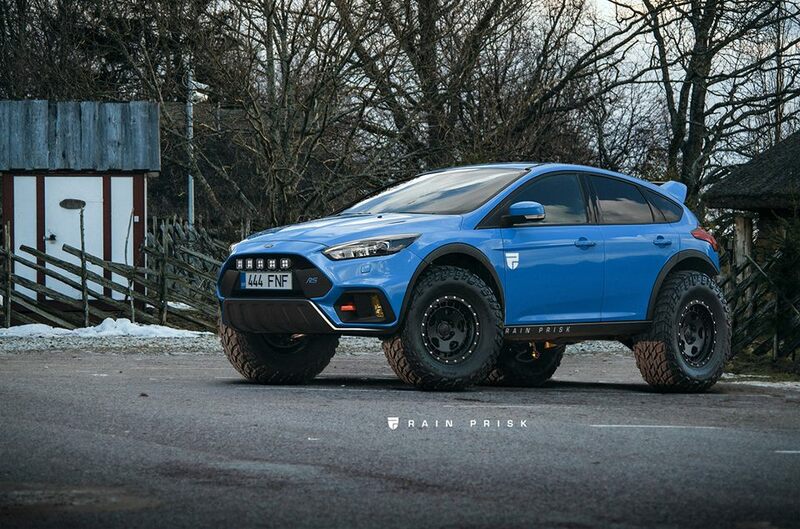 Focus Raptor anyone? Oh - I want to see pictures with those tires on!!! It would be nice to not scrape the front of the RS on even the slightest curb or driveway entrance... I tripod every day just getting into my work parking lot! Current: 2016 Focus RS FW RS2 - 61k miles and counting! Head gasket mod* only. Stock Ford Focus NEW RS 2016 2.3 Ecboost 4x4 350Pk! !